Try out this delicious peanut sauce. You can serve it as a dip or add a spoonful or two to the boiled vegetables or chicken. This recipe is from an Indonesian cookbook. I have made some changes to it. The original recipe calls for shrimp paste and mango chutney. I have used tomato ketchup instead and added a little salt. (the shrimp paste contains salt..since I skipped it I added salt) I have also cooked the sauce with oil as it can stay longer and tastes better. Sambal Oelek ... 1 tsp ( see Sambal Oelek recipe - HERE ) or - you may use 2 fresh red chillies instead. 2. Combine all the ingredients except oil, in a food processor and blend until smooth. 3. Heat oil in a pan and pour out the sauce. 4. Cook for 4-5 minutes, stirring occasionally until the sauce has thickened. 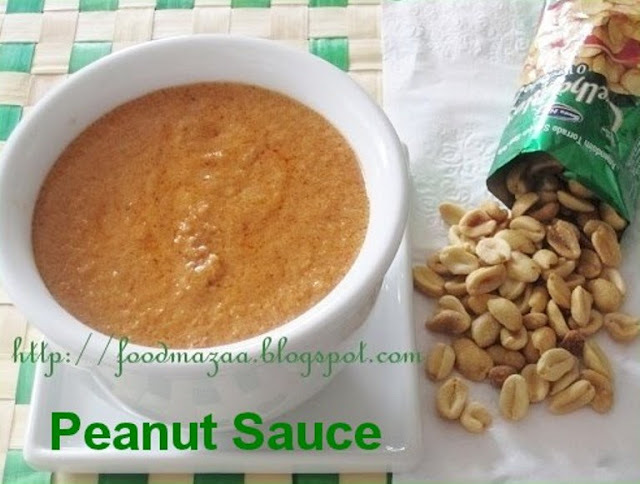 Sauce looks yum and nutty. nice sauce...the changes actually suit me better! 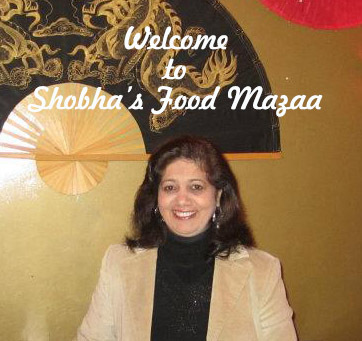 Delicious Peanut sauce Shoba, Love your step by step recipe. Sounds yummy and super flavourful. Loved this sauce! Looks so yum!! So nutty and delicious! Love the adaptation you'd made.